New Age Metals Engages DRA Americas Inc to Collaborate With P&E Mining Consultants Inc to Complete Preliminary Economic Assessment on the River Valley PGM Project – New Age Metals Inc.
NAM’s Platinum Group Metals (PGM) Division, more specifically our River Valley PGM project in Sudbury, Ontario, is the largest undeveloped primary Platinum Group Metals Project in North America. Management is advancing the project towards its first economic study, a Preliminary Economic Assessment (PEA). NAM has commissioned P&E Mining Consultants Inc (P&E) to lead the PEA on the River Valley PGM Project. DRA Americas Inc (DRA) will be collaborating with P&E to complete the PEA, please refer to the news release dated July 25, 2018 to read further into NAM engaging P&E for the PEA. DRA will assess results from previous and ongoing mineralogical and metallurgical studies, which will help create a business model to determine an optimal processing route. DRA, a multidisciplinary global engineering group has engineered and built a large majority of the Platinum Group Metals (PGM) concentrators in the world. The objective of the PEA would be to create a mine plan, mine schedule, a capital cost estimate, and operating cost estimate incorporated into a financial model to provide total cash flow, net present value (NPV), and internal rate of return (IRR). NAM plans to initiate a 4th phase diamond drilling program (see page 5 for further details) on the newly discovered high-grade Pine Zone to contribute to early PEA work, performed by P&E and DRA. The PEA is scheduled to be completed on or before the end of the first half of 2019; Geotechnical, metallurgical, mineralogical, and cost estimation work is ongoing, all of which will assist in the completion of the PEA. Our proposed Corporate Mandate is to build a series of open pits (bulk mining) over the 16 kilometres of mineralization. Initially, we will focus on the northern portion of the project and our proposed plan is to mine, crush, and concentrate on site, then ship the concentrates to Sudbury. August 1, 2018 Rockport, Canada – New Age Metals Inc. (TSX.V: NAM; OTCQB: NMTLF; FSE: P7J.F). Mr. Harry Barr Chairman/CEO stated: “We are pleased to announce that we have engaged DRA Americas Inc (DRA) to collaborate with P&E Mining Consultants Inc (P&E). Their combined objective is to complete the first economic study (PEA) on our River Valley PGM Project. On behalf of our shareholders, Board of Directors, management and consultants I am extremely pleased to get this all important economic study underway. River Valley is a unique North American Platinum Group Metal Project. These two extremely experienced engineering companies have been chosen because of their rare combination of engineering talent and expertise. The PEA will be a high-level engineering and financial study. The main conclusions of the study will include key financial parameters such as after-tax Net Present Value (NPV) and after-tax Internal Rate of Return (IRR) that will evaluate the projects economic viability. In the meantime, our late summer 2018 drill planning is in progress, metallurgical and mineralogical studies are underway, a complete evaluation of all of our previous geophysical studies is in progress. Management will keep the shareholders informed through the exploration, development and PEA process. DRA is a multi-disciplinary global engineering group that offers comprehensive service such as: delivering mining, mineral processing, energy, agriculture, water treatment and infrastructure services from concept to project development financing options, delivery, asset management and maintenance services. DRA has over 30 years of experience and 3,000 employees working from 12 offices on five continents. DRA has engineered and built most of the primary PGM concentrators in the world representing the majority of the world’s primary platinum being produced. DRA is a preferred due diligence provider to many financial institutions including M&A of PGM projects. For more information on DRA please click the link here to go to their website. Refer to Figure 1 below to see a Platinum concentrator plant that was built by DRA for Ngezi Platinum in South Africa. 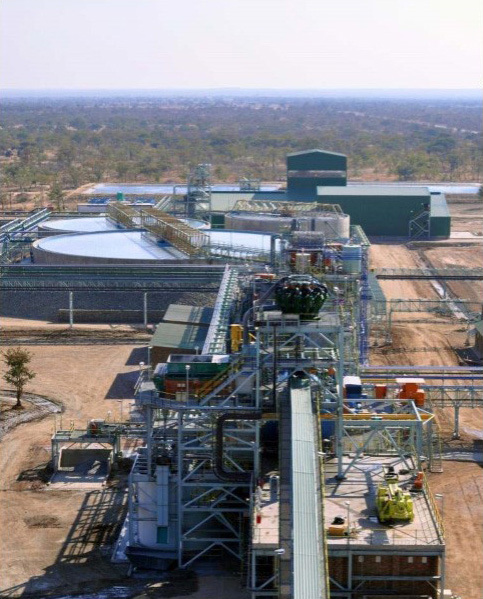 Figure 1: 2.2 Mtpa concentrator plant built for the Impala Platinum, Ngezi project by DRA in South Africa. P&E Mining Consultants Inc, was established in 2004 and provides geological and mine engineering consulting reports, Mineral Resource Estimate technical reports, Preliminary Economic Assessments and Pre-Feasibility Studies. P&E are affiliated with major Toronto based consulting firms for the purposes of collaborating on Feasibility Studies. Their experience covers over 300 technical reports, including but not limited to PGM’s and Base Metals projects. P&E has experience in geological interpretation, 3D geologic modeling, technical report writing, Mineral Resource and Mineral Reserve Estimates, property evaluations, mine design, production scheduling, operating and capital cost estimates and metallurgical engineering. P&E Mining Consultants Inc operates under Certificates of Authorization from the provinces of Ontario, Newfoundland and Saskatchewan. Associates are also licenced in the provinces of British Columbia, Quebec, NWT/Nunavut and New Brunswick. For more information on P&E please click www.peconsulting.ca to go to their website. The PEA will evaluate the River Valley Project at a high-level engineering and financial study level. The study will incorporate the latest information provided by the exploration programs as well as metallurgical and geotechnical studies, and recent geophysics. Two international mining engineering consulting groups are collaborating to complete the study: P&E Mining Consultants Inc and DRA Americas Inc.
P&E are the lead group on this study but will be working with DRA to first determine a target production rate by incorporating the most recent May 2018 Mineral Resource model, new mining, process, and geotechnical cost estimates as well as new open pit optimizations to develop a mine production schedule. Please refer to the news release dated July 25, 2018 to read further into NAM engaging P&E for the PEA. From the target production rate, DRA will be using their extensive database of PGM concentrators to consider all possible processing routes for River Valley material. DRA will review all mineralogical and metallurgical test work that has been completed on River Valley material, with a main focus of analyzing results from an ongoing Ore Sorting study being conducted by XPS and Steinert. The purpose of the current XPS/Steinert study is to explore various methodologies that could facilitate pre-concentration of River Valley material. Pre-concentration would involve rejecting waste and therefore upgrading or increasing the value of material that will be trucked out to further processing. DRA will further define specific mining and process design parameters for the River Valley Project in conjunction with P&E such as a preliminary mechanical equipment list, which will form the basis of a factored CAPEX estimate. Both firms work will complement each other and aid in developing a high-level review of infrastructure and utility requirements to create inputs for the final technical report which is expected to be completed on or before the end of the first half of 2019. NAM plans to initiate a diamond drilling program on the newly discovered high-grade Pine Zone to contribute to early PEA work that will be performed by P&E. P&E will use all previous NI 43-101 compliant Mineral Resource data, the 2017/2018 Abitibi Geophysical report, the reinterpretation of Abitibi Geophysical reports by Alan King, P.Geo., our Sudbury Geophysical consultant as well as the 2018 Summer/Fall drilling results to determine a target mine size for the potential starter open pits in the northern 16 kilometres of mineralization. From this target size, P&E will be able to generate early and advanced mine production scenarios including a mine production schedule. The PEA is scheduled to be completed on or before the end of the first half of 2019. 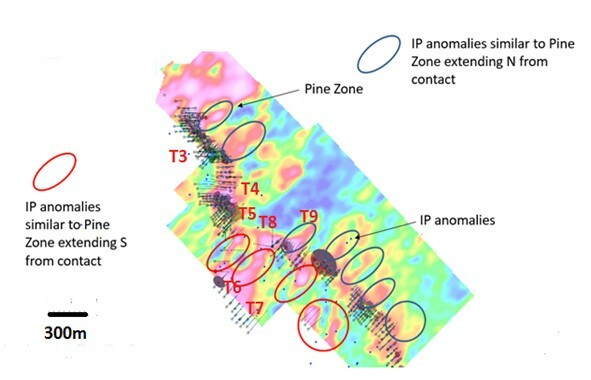 Figure 2: Induced Polarization (IP) chargeability results which show potential drill targets from the 2017 Alan King Geophysical report on the northern portion of the project. 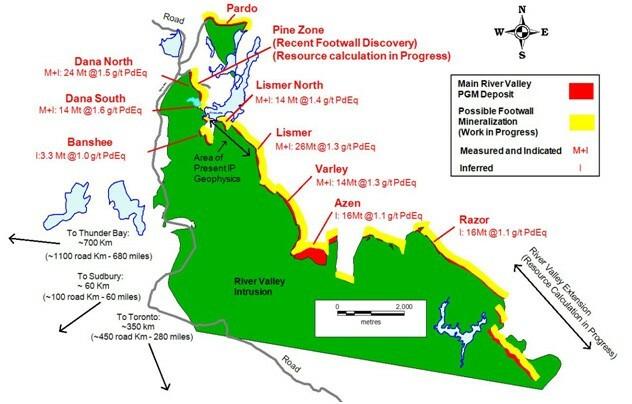 Figure 3: Zone map of the River Valley PGM Deposit: The Yellow Band in Figure 2 represents the footwall potential area of the River Valley Deposit. Over time NAM’s technical team would like to complete an extensive geophysical program from the top of the 16 km in the most northern zones to its most southernly areas that now are known as the River Valley Extension. The objective of a 16 km program would be to outline other Pine Zone type deposits. The 2018 Abitibi geophysical program and Alan King’s reinterpretation of that report have defined several excellent new targets in the northern portion of the project in both the footwall and along the established contact mineralization. See Figure 2, page 6 of this release for more related information. The summer exploration plan has begun for the company’s Lithium Division (June 14th, 2018). NAM has 100% ownership of eight pegmatite hosted Lithium Projects in the Winnipeg River Pegmatite Field, located in SE Manitoba, with focus on Lithium-bearing pegmatites. Three of the projects are drill ready. This Pegmatite Field hosts the world class Tanco Pegmatite that has been mined for Tantalum, Cesium and Spodumene (one of the primary Lithium minerals) in varying capacities, since 1969. NAM’s Lithium Projects are strategically situated in this prolific Pegmatite Field. Presently, NAM is the largest mineral claim holder for Lithium and Rare Metal projects in the Winnipeg River Pegmatite Field. NAM’s flagship project is its 100% owned River Valley PGM Project (NAM Website – River Valley Project ) in the Sudbury Mining District of Northern Ontario (100 km east of Sudbury, Ontario). Presently the River Valley Project is North America’s largest undeveloped primary PGM deposit with Measured + Indicated Mineral Resources of 160 million tonnes @ 0.44 g/t Palladium, 0.17 g/t Platinum, 0.03 g/t Gold, with a PdEq metal grade of 0.90 g/t at a cut-off grade of 0.4 g/t PdEq equating to 3,297,000 ounces PGM plus Gold and 4,626,000 PdEq Ounces (Table 1). This equates to 4,626,000 PdEq ounces M+I and 2,714,000 PdEq ounces in Inferred classification (see May 8th, 2018 press release). NAM is currently conducting Phase 4 of their proposed 2018 exploration and development program. The current program is based on recommendations of previous geophysical studies and reviews by the company’s consultants, recent drilling, ongoing advanced metallurgical and minerology studies and selective pit design drill programs. The results of Phase 4 will assist in early PEA work being conducted by P&E Mining Consultants Inc and is meant to contribute towards the River Valley PEA. Mr. Michael Neumann, P.Eng., a veteran mining engineer and one of NAM’s directors, will oversee the completion of the PEA. On April 4th, 2018, NAM signed an agreement with one of Alaska’s top geological consulting companies. The companies stated objective is to acquire additional PGM and Rare Metal projects in Alaska. On April 18th, 2018 , NAM announced the right to purchase 100% of the Genesis PGM Project, NAM’s first Alaskan PGM acquisition related to the April 4th agreement. The Genesis PGM Project is a road accessible, under explored, highly prospective, multi-prospect drill ready Palladium (Pd)- Platinum (Pt)- Nickel (Ni)- Copper (Cu) property. A comprehensive report on previous exploration and future phases of work is slated for completion by early August 2018 on Genesis. This report will be completed by Avalon Development of Fairbanks Alaska. The results of the new Mineral Resource Estimate for NAM’s flagship River Valley PGM Project are tabulated in Table 1 below (0.4 g/t PdEq cut-off).